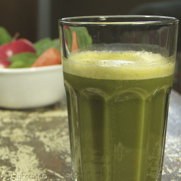 This recipe couldn’t be easier or more healthful. I love that it falls right into my “power balls” repertoire. And, of course, the recipe falls right into our gluten-free, dairy-free, low-sugar lifestyles. We love this, right? I know many people are trying to reduce their sugar intake in a healthful way, including me. This fits that lifestyle. Equally important? They’re delicious! 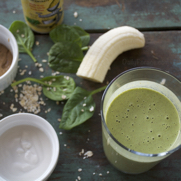 My healthy morning routine includes 20 ounces of water, a pinch of yoga, and this amazing no-bake recipe for turning my protein shake into a nutritious grab-n-go breakfast or pick-me-up snack. 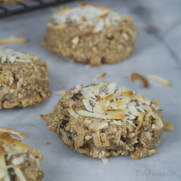 This nutritionally-filled, energy-inducing oatmeal cookie recipe is free of gluten, dairy, soy, and eggs. 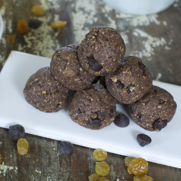 Cinnamon, dark chocolate chips, dates, coconut, and nut butter all add to the perfect flavor and texture. These will keep you satisfied – and focused – for hours on end. 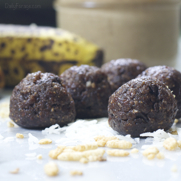 These protein balls are a perfect grain-free energy snack with nutritional benefits of raisins, banana, and high protein, healthy-fat cashews. They’re the perfect midday pick-me-up snack, or a great pre- or post-workout treat. 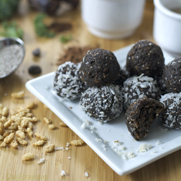 Gluten-free, Dairy-free, Vegan Power Balls are little pop-in-your-mouth bites of protein and carbs that require no cooking. 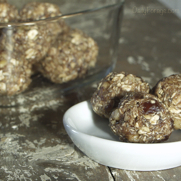 Raw oats, nut butter, cocoa, nuts, and dates are rolled into balls then kept in the fridge, ready to grab as a pre-workout boost, or as a tasty recharge snack post-workout. 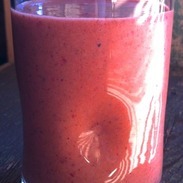 Our ABBC Juice Protein Smoothie recipe is creamy and full of healthy, gluten-free, dairy-free, and egg-free, ingredients. We’ve also included our ABBC Juice recipe, containing apples, blueberries, broccoli, and carrots, made with our Hurom Slow Juicer. 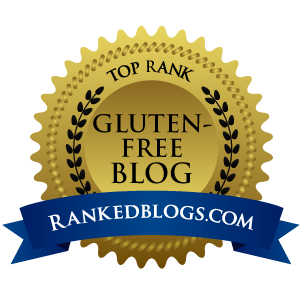 What Gluten Free Snacks Will You Be Eating This Summer? Our list of healthy gluten free grab-n-go snack foods are quick and easy to prepare and take along during the busy summer months of picnics, outdoor activities, sports, camps, and playing at the pool. Full of nutrition, these choices are kid-friendly and adult-approved. 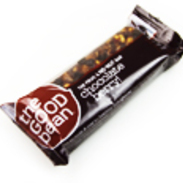 The Good Bean Fruit & No-Nut Bar is gluten-free, nut-free, and made of chickpeas, fruits, seeds, berries and chocolate. A healthy and tasty snack for people with wheat and nut allergies. 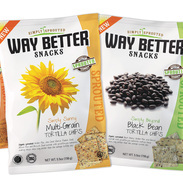 Way Better Snacks Tortilla Chips by Live Better Brands are gluten-free, dairy-free, and vegan, and are made from sprouted grains, beans and seeds. Our product review shouts out about the wholesome goodness of this great snack food. 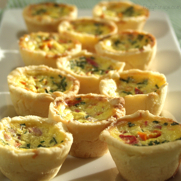 Mini Quiche Tarts, made with gluten-free, dairy-free ingredients are little cups of eggs, Proscuitto, Daiya cheese, Tofutti sour cream, and sweet peppers, cradled in a flaky crust. Delicious! Perfect as appetizers on your football party trays. 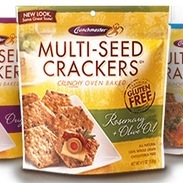 Crunchmaster Multi-Seed Crackers are a healthy, gluten-free snack cracker. Filled with quinoa, sesame, flax, and amaranth seeds, these crackers are delicious and nutritious. A certified gluten-free 100% whole grain snack food, perfect for parties too. Newsy Report on The Good Bean! 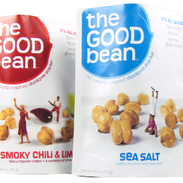 The Good Bean is a healthy, gluten free snack made from high-protein chickpeas (garbanzo beans). They come in four flavors and provide a perfect treat for people with celiac disease, gluten-intolerance, or who desire something crunchy but who suffer from nut allergies. 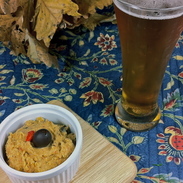 Black Olive Pimento Hummus is gluten-free and dairy-free, and made from garbanzo beans (chick peas). It is low in fat, high in fiber and protein, and an easy recipe to prepare.